Holly's Reading Hollow: Books Are Blessings! I was going to save this blog for random post about what little things in life make me smile, make me remember how truly blessed I am, and put an emphasis on the little things in life that many people these days don't stop to give a second thought. Books are one of those things I'd consider blessings and although I definitely could discuss books along with other items and moments in life that are full of joy and appreciation, I've decided that books are too much a part of my life to only discuss them every now and then in a blog. And that brings us to me telling you that I've decided to dedicate this blog entirely to books! Simple Blessings is my username on blogger, the title of this blog, and it is also my username on Goodreads so I thought, how much more perfect could this be! If this blog goes without fail on my part, I'll be making reviews on HERE instead of Goodreads, full-length, worthy of a blog post reviews, instead of my not-so in-depth reviews on Goodreads. 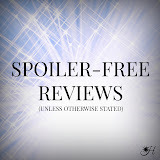 I've considered having a book blog for a while and never fell in love with the idea until now, after reading review after review after review of Colleen Hoover's new book "Hopeless" and seeing so many others with book blogs. I thought, now I could do that! Maybe even throw in some giveaways here and there...yeah I could do that! Now that this has been decided, on this last day of the year the world was supposed to end in, I'd like to say thank you to anyone who follows my blog from now on! I cannot promise frequent posts because I am in school and a bunch of other extra-curriculars, but I will try my best to post at least once a month and make them GREAT reviews! Also, I still have a lot of learning to do when it comes to blogging and such so I will promise for nicer blog posts as we go along!